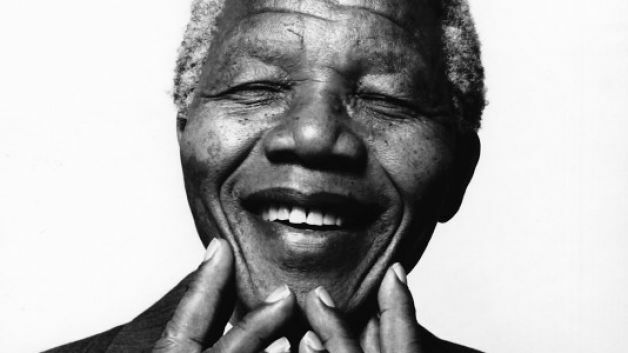 With great sadness and broken hearts, we all knew the day would come to say goodbye to our beloved uTat Madiba. On Thursday, 5 December, it was announced that former president Nelson Mandela, the revered Father of the Nation, has died at age 95. The news was announced by President Jacob Zuma live on television, shortly before midnight. “He passed on peacefully in the company of his family”, said Zuma. “Our people have lost a father. We knew that this day would come. Nothing can diminish our sense of a profound and enduring loss. His tireless struggle for freedom earned him the respect of the world”. As soon as the news broke, there has been an outpouring of sentiments over Madiba’s death, especially on social media where people continuously share their condolences. Among those are local and international musicians and artists who have taken to Twitter to mourn the civil rights icon’s loss. Ludacris tweeted: “Graceful that you graced this earth. #ripnelsonmandela”. Tumi Molekane had this to say to his followers, “You can’t save the people unless you serve the people. RIP Mandela”. Hillary Scott reminisced: “Meeting Nelson Mandela at his home in Johannesburg was a truly memorable moment in life for me. He was an angel”. Rapper AKA also sent a message of encouragement to his followers, “Let’s live out Madiba’s dreams”. Busta Rhymes also paid his homage to Tata, “RIP 2 ONE OF OUR LAST TRULY GREAT KINGS AND GOD OF OUR UNIVERSE, THE LATE GREAT NELSON MANDELA!!! I WILL 4EVER LOVE U GREAT MAN & GREAT MIND”. Common paid tribute to the late statesman with the following message: “GOD Bless the Soul of 1 of The Greatest Humans this Planet has ever known! A True Rep of Love, Courage, Sacrifice & Strength. #MANdela”. Quick Q&A with Sandile MTVBase VJ Winner!